My friends over at Scharff Weisberg sent out some very interesting information about spare equipment. This is one of those areas where there are no rules, but where thinking through the situation is critical, since "the show must go on". Somewhere between no spare equipment and a spare of every component lies the ideal spare equipment complement for each and every show. That ideal varies depending on the shop and/or the system designer as well as various factors related to the specific show such as location, schedule and prominence. 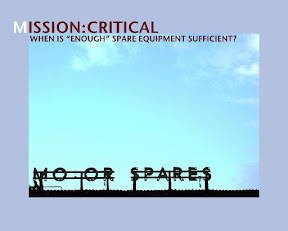 In this month's E-mail, I'm going to break this down by type of equipment and provide a perspective that you may find valuable in assessing spare equipment requirements for your projects.